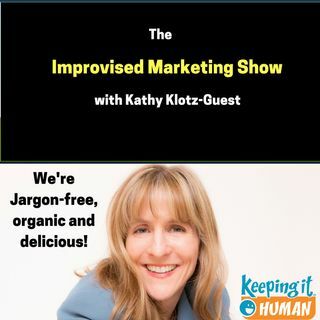 Hosted by Kathy Klotz-Guest, this program is a fun, lively, improvised show discussing ways to make culture, storytelling and content more "human," more real and more fun! We're a jargon-monoxide free zone! The goal of this show is to make companies and teams better storytellers by providing great tips from smart, playful and fun guests who are doing interesting things in the world of storytelling, marketing, and improvisation. While this show is primarily for business owners ... See More and C-level executives within organizations, anyone can benefit from a new tip or two. Join us! Warren Whitlock interviews Kathy Klotz-Guest: Stop Boring Me!